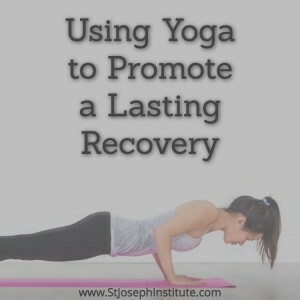 While yoga is far from a cure for drug and alcohol addiction, a regular yoga practice can help promote a lasting recovery. Yoga is especially popular with those searching for a holistic way to address addiction treatment because it enhances the mind, body, and spirit. Even if you don’t consider yourself to be exceptionally flexible, it’s never too late to begin learning more about the benefits of yoga. In addition to yoga classes that designed to be part of addiction treatment, there are yoga programs targeted to diverse groups such as troubled at-risk teens, inmates in correctional facilities, military veterans, and nursing home residents. Replacing artificial highs with a natural alternative. Yoga gives you a natural high by building your connection to your inner self. Instead of chasing external pleasures from drugs and alcohol, a regular yoga practice can teach you to be content with your internal wisdom and awareness. Enhancing mental control. Yoga’s focus on meditation is essentially strength training for the mind. When you feel in control of your thoughts, your cravings will diminish. Decreasing stress and anxiety. Many people turn to drugs and alcohol as a way to cope with the stress they feel in their personal and professional lives. Doing yoga to unwind at the end of a tough day helps you stay on track with your recovery. Providing a way to deal with past trauma. If your addiction began as a way to cope with childhood trauma, yoga can help you develop the mental clarity needed to process your feelings and find a sense of inner peace. Relieving chronic pain. If your addiction began as a way to cope with chronic pain, yoga is an all-natural way to keep your pain levels in check while enhancing your overall mobility. Providing a sense of community. If you choose to practice yoga in a studio environment or to attend special workshops, you’ll be able to connect with a community of like-minded individuals who share your passion for wellness. Building social ties is scientifically proven to diminish the risk of relapse after addiction treatment. It’s best to begin your study of yoga under the guidance of a qualified teacher who can adjust your form and suggest modifications to accommodate any physical limitations you might have. People who are overweight, have joint problems, or are recovering from recent injuries can still do yoga, but may need to modify poses to make them more accessible. Yoga classes are typically 45 to 90 minutes in length and most studios offer free or discounted trial classes for newcomers. Do not get discouraged if you struggle with poses or find your mind wandering. Learning yoga requires practice and patience, just like mastering any other new skill. Once you understand the basics, you can easily develop your own home yoga practice. All you need to create a home yoga studio is your yoga mat, comfortable clothes that allow you to move freely, and an open yet quiet place to practice. Some people like to play soothing music or diffuse calming essential oils during their practice, but this is not necessary. The following beginner level poses are often incorporated into a home yoga practice to help promote a lasting recovery from drug and alcohol addiction. Balasana (Child’s Pose) releases tension and mental fatigue while promoting a feeling of safety. Paschimottanasana (Seated Forward Bend) stretches the lower back and hamstrings while promoting a feeling of calm. Apanasana (Little Boat Hugging Knees) releases pressure in the lower back. Baddha Konasana (Butterfly) is done with deep breathing exercises to open the hips and pelvis. Adho Mukha Svanasana (Downward Facing Dog) promotes grounding and stress relief as it releases tension from the entire body. Virabhadrasana I (Warrior I) promotes feelings of mental strength and focus as it teaches to you stay present in the moment even when faced with discomfort. Viparita Karani (Legs-up-the-Wall Pose) is a soothing pose often recommended as a way to promote a more restful sleep. Savasana (Corpse Pose) is a relaxation pose traditionally done at the end of a practice to provide a sense of calm that replenishes both the mind and body.